A Northamptonshire college has been slammed with a grade four by Ofsted for delivering “unsafe” training in “highly dangerous vocational areas” such as construction and equine studies. Moulton College is a specialist land-based college with onsite accommodation that also delivers programmes in animal management, sport and food and drink manufacturing. It was today branded ‘inadequate’ overall, and in four of the eight headline fields, including for its large apprenticeships provision – meaning it will become the second college to lose the right to offer them under updated government rules. The damning report will no doubt heap pressure on the college’s principal, Stephen Davies, who has overseen a gradual decline in the college’s rating from ‘outstanding’ when he took the reins in 2011. 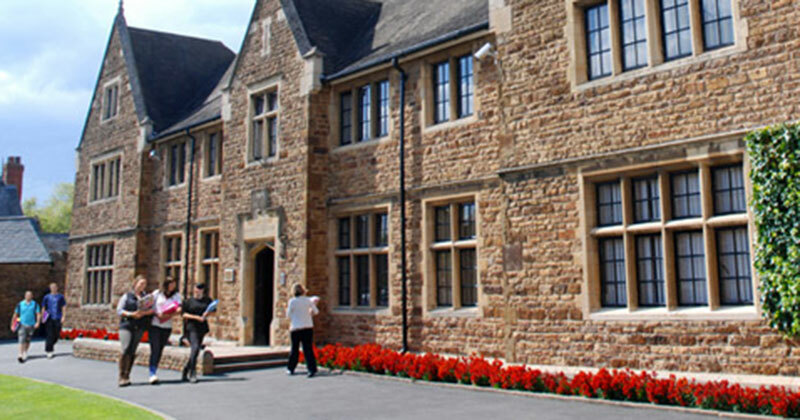 Moulton, which has two sites across Northamptonshire, was particularly criticised for the extremely poor health and safety environment it has adopted – which puts learners, including those with high needs, in danger. “Inspectors identified a number of serious breaches to health and safety regulations and a number of instances where practice was unsafe or sloppy,” Ofsted said. Not all students are “safe” while undertaking activities at the college, the inspectorate continued. In equine yards, gates are “left open” and a teacher “demonstrated unsafe practice” when tacking up a horse. In brickwork, under the guidance of their teacher, apprentices “cut bricks without the use of eye protection”. In one animal care lesson, Ofsted said a “poorly conceived” internet research task placed a high needs student “at risk of looking at inappropriate content”. Leaders at the 2,500-learner college have however moved quickly to reassure the community they serve that effective safeguards are now being put in place to protect learners. “We are naturally extremely disappointed by the results of the inspection,” Mr Davies said. He added that the immediate actions taken by the college include providing every member of staff with a refresher safety briefing, and “commissioning audits of both health and safety and safeguarding practices – which will be used to inform work going forward in these areas”. Moulton College’s performance has gradually declined since Mr Davies took over in 2011. At the time it was ‘outstanding’, according to Ofsted, but then fell to a grade three in 2016, until it ultimately slumped to ‘inadequate’ today. During that time it has run into financial difficulties. Moulton has a turnover of around £25 million but got a financial notice of concern from the ESFA in January 2017. At the time its bank loans totalled nearly £20 million after it made significant investment to improve the college estate. Moulton was subsequently subject to intervention from the FE Commissioner – whose report found leaders had been “too slow” to address poor financial performance. However, its financial health went back to “satisfactory” at end of July 2017. Moulton will become the second college in the last two months to be taken off the register of apprenticeship training providers for getting a grade four in this area. Barnfield was the first to be hit by the strict government rules, which were updated in January to reaffirm the consequence. This action for Moulton could be a big deal for local businesses if they are reliant on the college to deliver training, as the college currently delivers over 650 apprenticeships. Chair of governors, Robin Thompson, said he was “pleased” that Ofsted’s report noted the college’s strengths in “employability and work-related training, our commercial links with employers, what they described as our excellent range of specialist facilities and teacher expertise”. He added that the college has a “proud history” of serving its “community – and the agricultural and horticultural sectors across the UK – for almost a century and during that time we have prided ourselves as much on our pastoral care as our educational impact”. I worked in the building trade for years and we were always made to use PPE on site. Cutting a brick with a trowel or a hammer and bolster does not require safety glasses. On a good site cuts would be done by a wet saw trained operator.